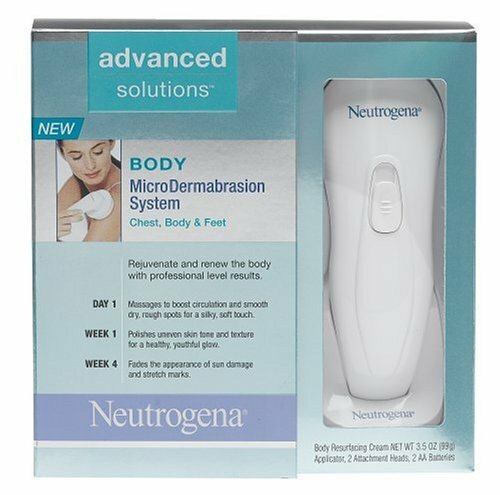 Neutrogena Advanced Solutions MicroDermabrasion Body System is a patented system that will rejuevenate and awaken your beautiful skin, every inch of it. Use on your feet, hands, arms, legs, thighs, waist, behind, torso- you get the idea, everywhere. Provides an at home alternative to spa exfoliation.